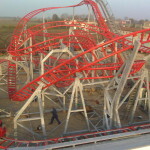 As anyone knows the roller coaster is an amusement ride developed for amusement parks and modern theme parks. Technical Park has a complete range of attractions to offer any kind of theme on rails with vehicles running with single cars or train, on or under the track and propose a wide variety of amusement rides like Rock’n’roll or family rides like baby aviator, Sombrero and so on. Roller coasters were funny only to those who love the thrill and excitement. Get on these rides is to run at the speed of light carried by trucks hanging in the air defying gravity … how afraid! 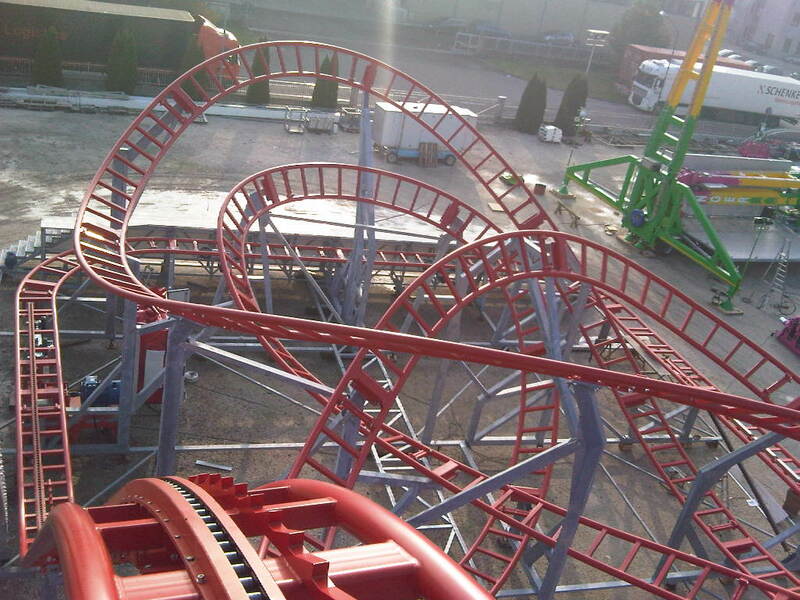 The history of the roller coaster has its roots in Russia just over 200 years ago when they were built artificial towers from which departed to go downhill wooden sleigh with wheels. Why get on these rides makes us feel strong emotions? On roller coaster trains you’ re completely revved up not knowing where you’re going, and that’s what makes us cry like crazy. Then a strange thing happens: we realize to be alive! After the first few seconds rationality is replaced by the feeling of terror: that is why we choose to rise, is the euphoria of extreme thrill! Characterized by sharp turns, banking curves, fast transitions, and exhilarating drops, the Rock’n’roll offers the “feel” and fun of a family coaster with the undeniable thrill of a freeform coaster. It is truly a must-have for every park and a great experience for the whole family. 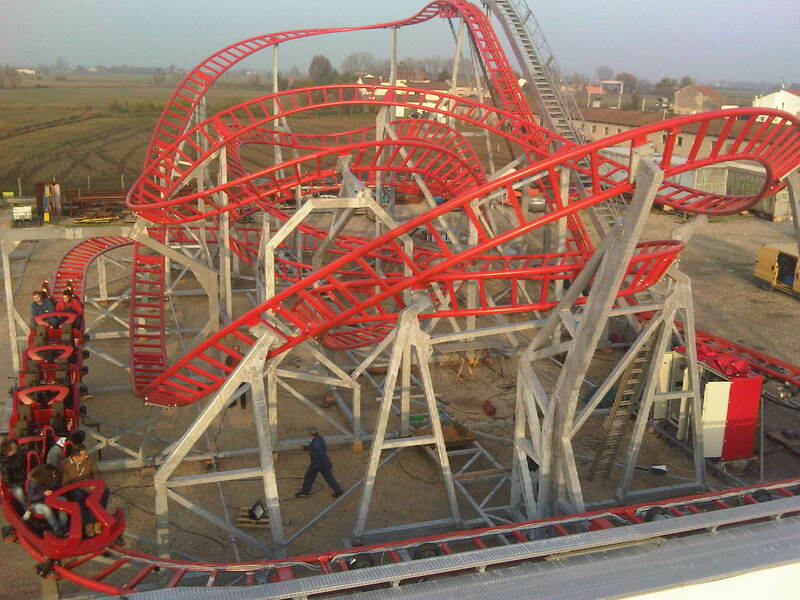 This roller coaster can pack a lot of “punch” in a small area. It is designed to fit into a compact area and it was a challenging process for Technical Park, but the result was an outstanding experience. 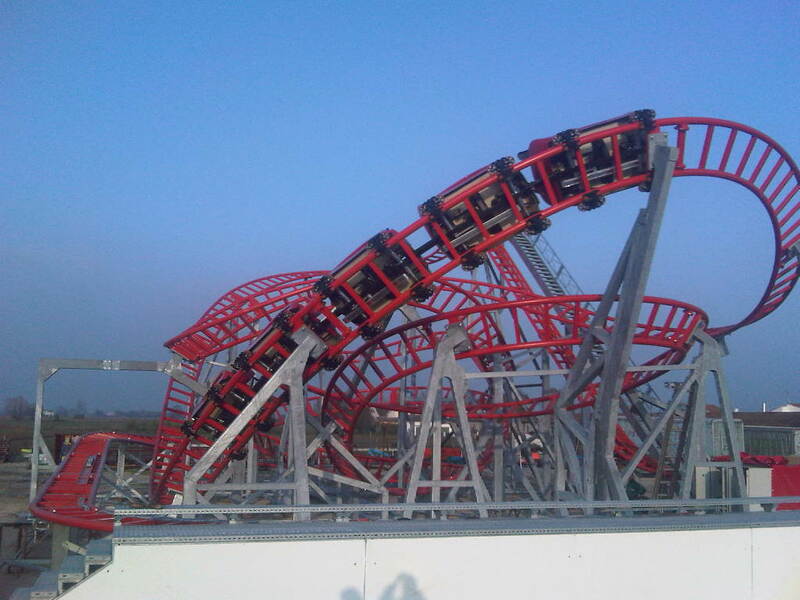 Instead of using ordinary seats like other family coasters, the cars are designed with carbon fiber individual shells that allow a comfortable and upright sitting position for everyone. Those roller coaster trains offer enough space to accommodate not only the kids but the whole family! In addition every row has a big leg room. For that reason even adults are able to enjoy the adventurous ride without any problems. Rider’s safety is first class system with T-lap bars hydraulically lock that can be adjusted infinitely. This enables even children with a body height of only 1.25m to experience the course. On the roller coaster the chain lift is gentle on materials, allows a smooth start and thanks to an energy efficient motor, consumes less electricity. The Family Coaster features state-of-the-art security SPS and a colored touch display to operate and maintain the roller coaster. Of course, the cars can be custom-themed to meet your requirements. 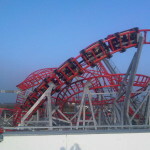 The ride is available with base frame. The Rock’n’roll C400 is available with chain lift: the chain lift provides lifts of different slopes. Likewise our 90° lift is navigable for trains composed to maximum 6 rows with 24 persons. The side catwalk on the lift ensures a quick, safe and comfortable evacuation of the riders in case of emergency right at any position of the lift hill, no care of the altitude. Monolithic vertical stanchions provided with flanges connecting them with the tracks and with the basement plates and self standing cross frame, protected with hot galvanize treatment . Magnetic braking system. 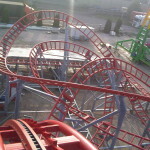 The magnetic part shall of the roller coaster slow down the train nearly up to its stopping that can be obtained through the mechanical brakes. This kind of braking allows to have the greatest safety and, at the same time, the greatest silence and the easiest and cheapest maintenance. The placing of the system on the track is to be studied according to the precise layout to get the greatest safety. – Entrance and exit stairs and platforms made of Durbar (hot-rolled structural steel floor plate) that has an evenly distributed, raised pattern which is integral to the product. It acts as a structural component and meets the requirements of the Construction Products Directive with slip-resistant surface in the original pattern easy to clean and self-draining. 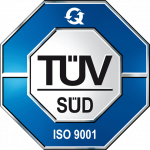 – Protection fences having a decorative structure made of powder coated or polished stainless steel tubes.